Qualification : Diploma Nursing course from Govt. recognised Institute. Age Limit : Up to 58 years. 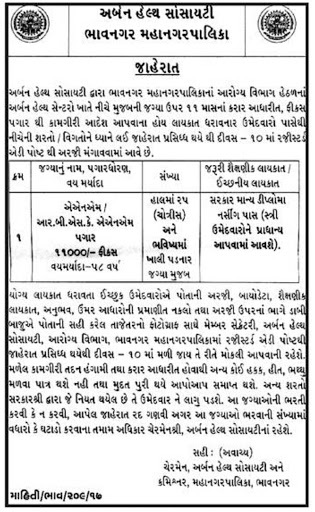 Address to sent Applications: Member Secretary, Urban Health Society, Health Department, Bhavnagar.